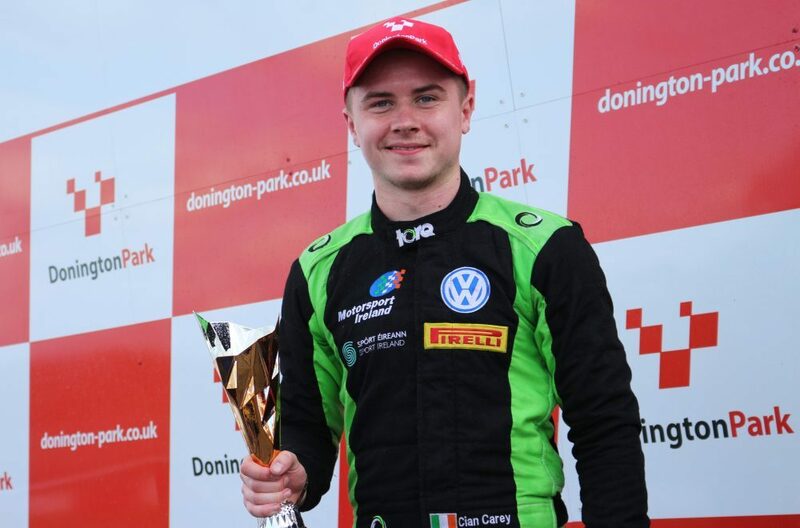 Cian Carey took a hard-fought lights-to-flag victory and a podium for a delighted Chris Dittmann Racing at Oulton Park in the F3 Cup this weekend (14 July). 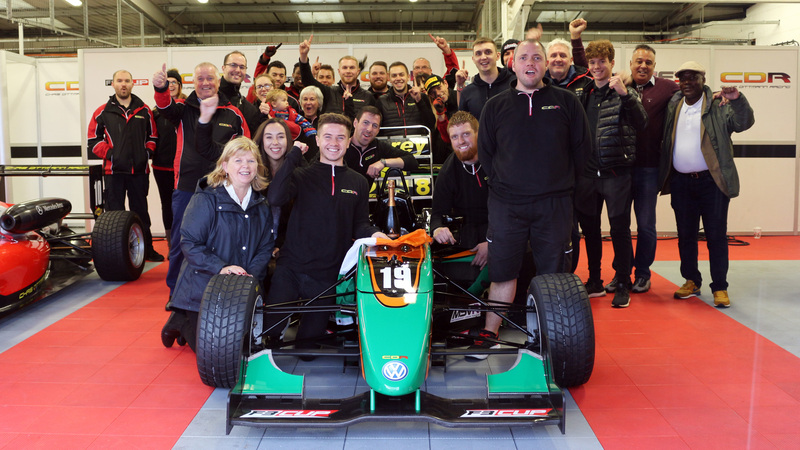 The Irish driver put on another pacey performance with a double pole, before taking the win in the first race and fastest lap on his way to second place in the final battle. 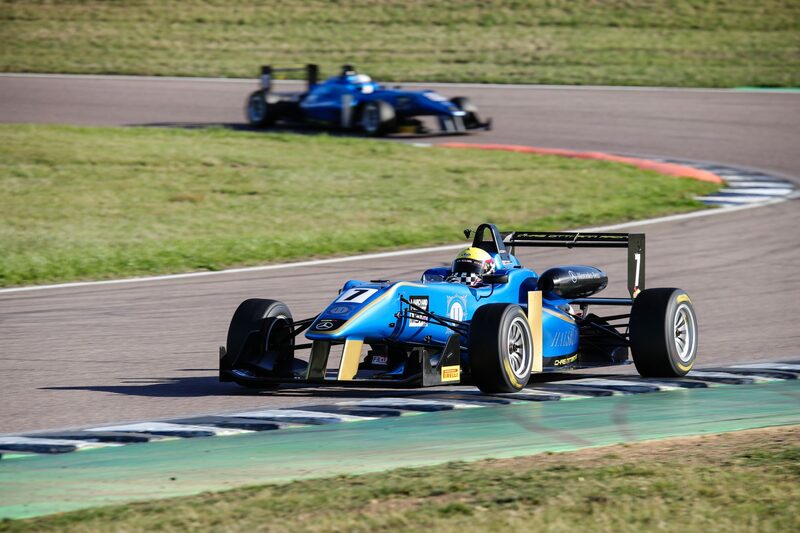 Meanwhile, Patrick Jeans and Baptiste Leonard took sixth and seventh in both races respectively on their first time at the track and although a crash saw Phillip Jeans endure a tricky weekend, Jonathon Hughes took ninth and tenth on his first outing of the season. But it was Cian who took the plaudits once again with another strong display to take the Championship lead by 12 points. 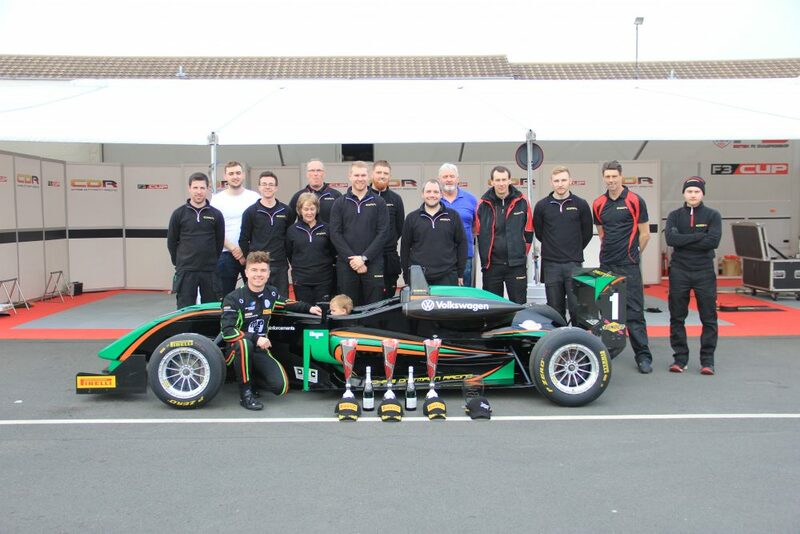 Team principal Chris Dittmann said: “It was another brilliant weekend. It was great to go to another circuit after Silverstone and show excellent pace throughout. 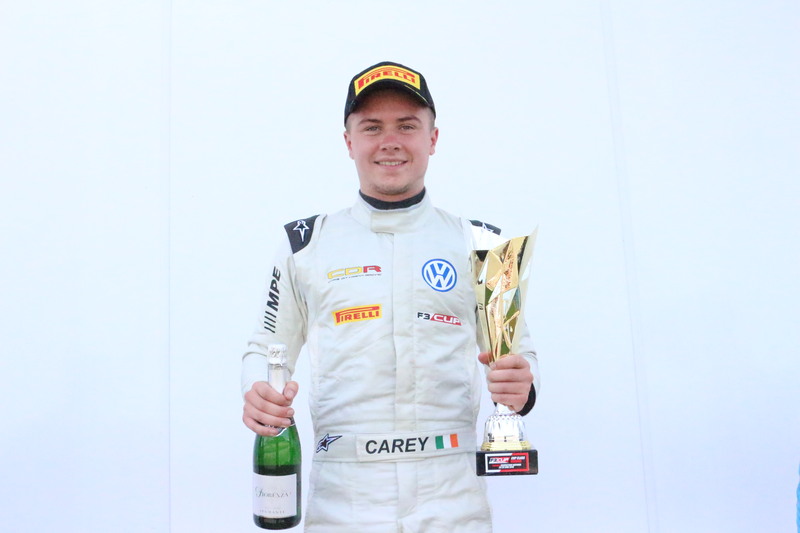 “Cian was really fast, with two poles by large margins. 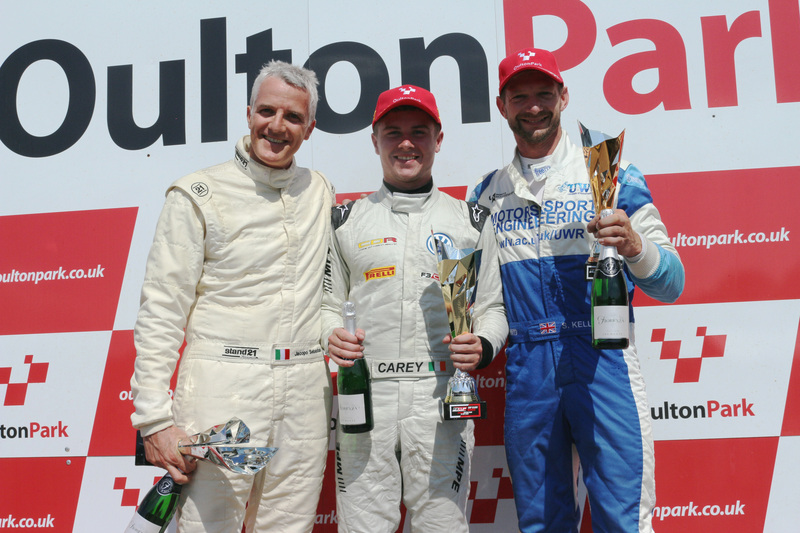 He took a well-deserved win under pressure, before an excellent second place – with lap times a second faster than drivers he was battling with. 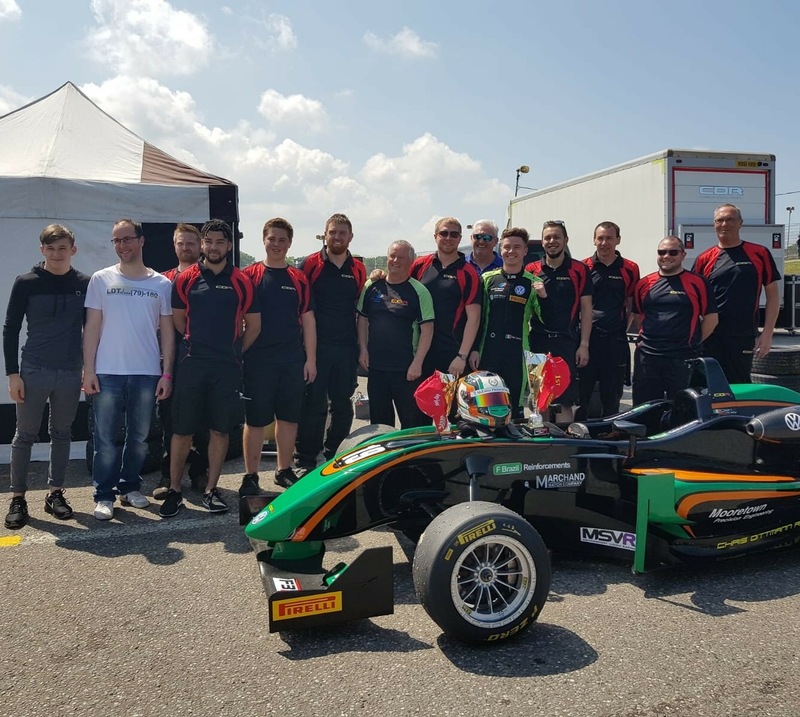 Chris Dittmann Racing’s team of Cian Carey, Phillip and Patrick Jeans and Baptiste Leonard, were joined by Jonathon Hughes at Oulton Park, for his first outing of the season. And after a double win for Cian last time out, as well as first podiums for Baptiste and Patrick, the team were full of confidence. Cian was quick from the off, taking pole in both races by half a second, while Jonathon didn’t take long to get back into the swing of things with a P7. Baptiste could be happy with P8 on his first time at the circuit. Things didn’t go to plan for Phillip, who was involved in a big crash on the test day – with the team doing a brilliant job to get the car back out on track. Patrick, meanwhile, had a problem with his gear selection in the assembly area, meaning he missed qualifying and was on the back foot all weekend. Cian got off to a great start in the first race, but couldn’t pull away – and was involved in a race long battle with the driver behind. But he fought hard and kept his concentration superbly to take another well-deserved win. Patrick started last, but once again showed great pace to come back brilliantly and take P6 at the end, while Baptiste improved his lap times from qualifying to take P7. Jonathon managed to get up to P5 until taking a knock to his wing. The team fixed it up quickly to send him on his way again, with P9 an excellent result in the circumstances. Phillip ended with a DNF, battery failure forcing him to retire early. 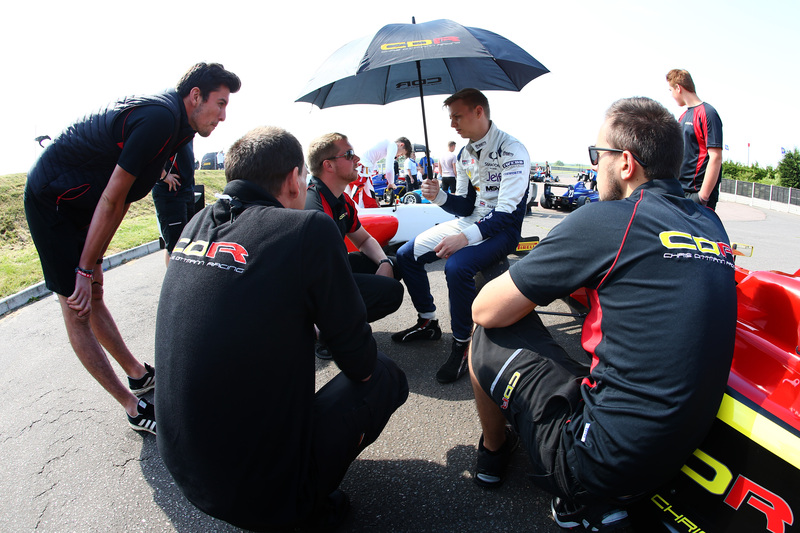 A slower start saw Cian drop two places into third in race two. After spending some time trying to get past into second, he seized his chance with a brilliant overtake into the first corner. He continued to push hard and was putting in some quick times, closing the gap to the leader at a rate of over a second per lap. Unfortunately, he couldn’t quite make the time up and had to settle for second in the end. However he set the fastest lap of the race to pick up another point towards the championship. Patrick and Baptiste were involved in a long inter-team battle, finishing sixth and seventh at the finish, respectively. Jonathon was battling for a Top 6 place when an unfortunate spin set him back a few places to finish in tenth. Phillip was unable to start due to unforeseen problems caused by the earlier crash damage. The results saw Cian take over at the top of the leaderboard, with Patrick in fifth, Baptiste in seventh and Phillip in ninth. 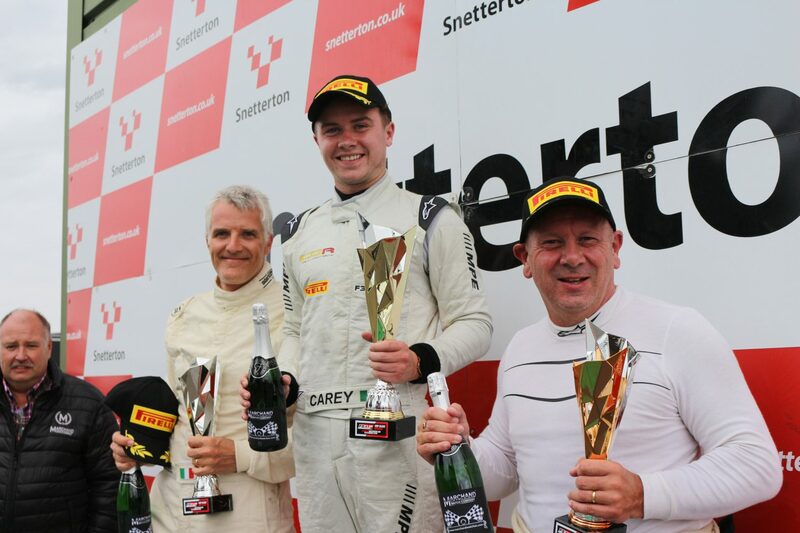 Chris added: “It was a another great weekend from everyone involved – with a bit of luck it could have been even better.